Light up your own bottle with Accent Bottle Lights exclusive wireless LED light caps to have your most loved and cherished bottles glowing! Light up your wedding keepsake, vintage, and home bar bottles with our wireless LED light caps. 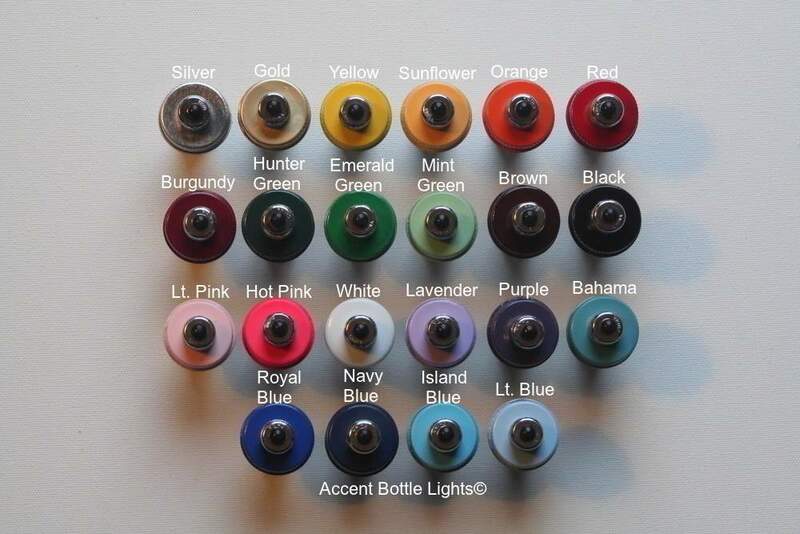 Choose from 21 different cap colors. The cap screws on for a sealed fit if your wine bottle is threaded, such as with most liquor bottles. For previously corked bottles, simply sit it on top; most fit over bottle neck.